Sometimes all it takes is a tilted view (sorry for the pun) to produce a good ad. For their Italian week, Spinney's reached out to an Italian staple, and an Italian architectural icon, and of course using a smart visual does not hurt either. 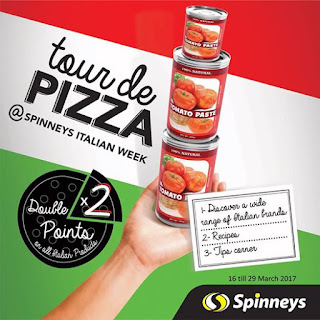 As Spinney's continues its streak of advertising wins, it is a refreshing addition to an otherwise morose landscape in Lebanon.